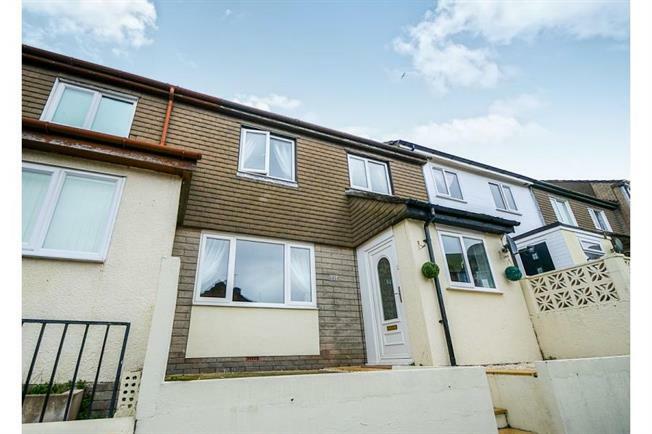 3 Bedroom Terraced House For Sale in Teignmouth for Offers Over £170,000. Fulfords are delighted to present this beautifully presented three bedroom modern home in the highly sought after area of Teignmouth. The property has recently been refurbished to a good standard throughout and it's very spacious inside. Also benefiting from a good sized garden and off street parking this lovely home would be perfect for first time buyers or a family. Fitted LED spotlights with wood laminate flooring and double glazed window. Bright and large living area with coving surround and wood burner. Double glazed window on the left along with wall mounted gas radiator. Carpeted throughout with smoke alram and various electrical points. A range of matching wall and base units with plenty of storage. Fitted new Glow Worm boiler with double glazed window to the left of this.Various electrical points and fitted wall mounted gas radiator. Soft close toilet with sink and LED spotlights. Cupboard storage. Carpeted throughout wtih double glazed window and wall mounted radiator to rear. Storage enclosure for futher storage. Carpeted throughout with electric points, double glazed window and radiator to rear.